Substitute “illegal aliens” for “migrants” and you get the picture. They’re overwhelming welfare services. 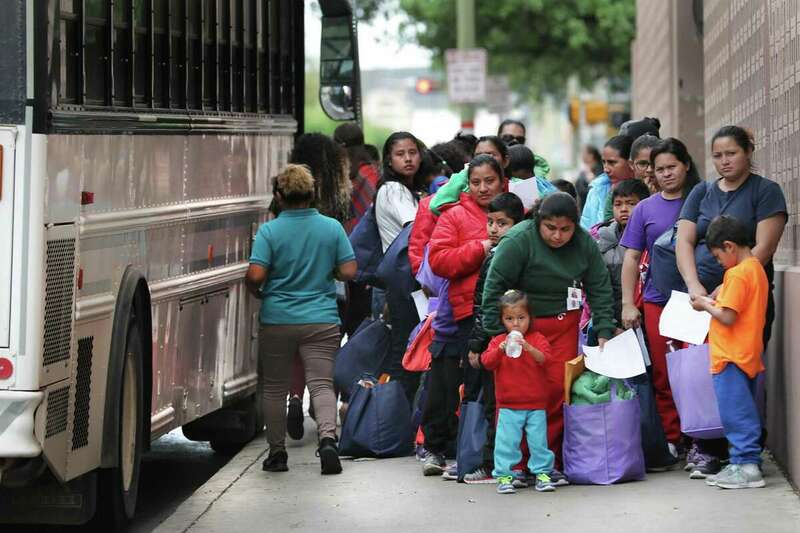 The massive wave of migrant families crossing the border has reached San Antonio, overwhelming its bus station and shelters. Local nonprofits have run out of space as hundreds of people are being released from large family detention centers in Dilley and Karnes County south of San Antonio, and from the border. “We’re trying to figure out where pregnant women and newborn babies are going to spend the night tonight,” said Michelle Rumbaut, a volunteer for the Interfaith Welcome Coalition, which greets migrants at San Antonio’s Greyhound bus station and at the airport. The influx here comes after U.S. Customs and Border Protection began releasing thousands of migrants in border cities with notices to appear later in court earlier this month. From El Paso to Brownsville, the mass releases have swamped communities and burdened nonprofits with providing increased humanitarian aid. Immigration authorities have released 51,500 migrants along the South Texas border and in San Antonio since late December. That’s more than in any other ICE jurisdiction along the border and almost half of the total migrants released, said U.S. Rep. Henry Cuellar, D-Laredo, who was briefed by Homeland Security officials. ICE’s Enforcement and Removal Operations released 34,500 migrants in El Paso, 20,000 in Phoenix and 11,500 in San Diego, Calif., as of March 26, he said. Overall, ICE has released 117,500 migrants along the border since Dec. 21.